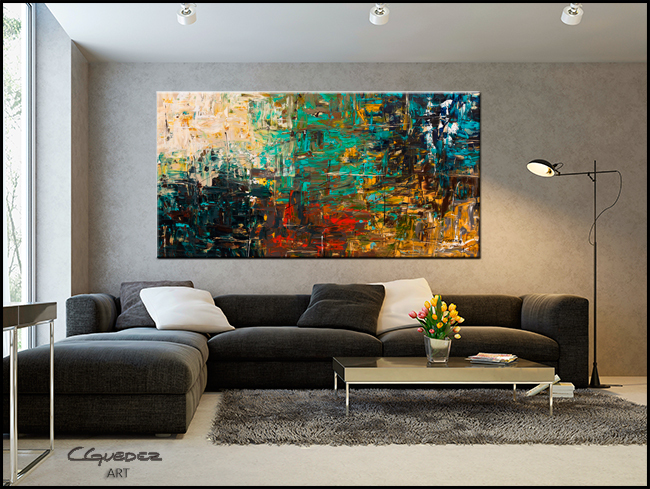 'City Life' abstract painting was made with the finest acrylic and oil paints. 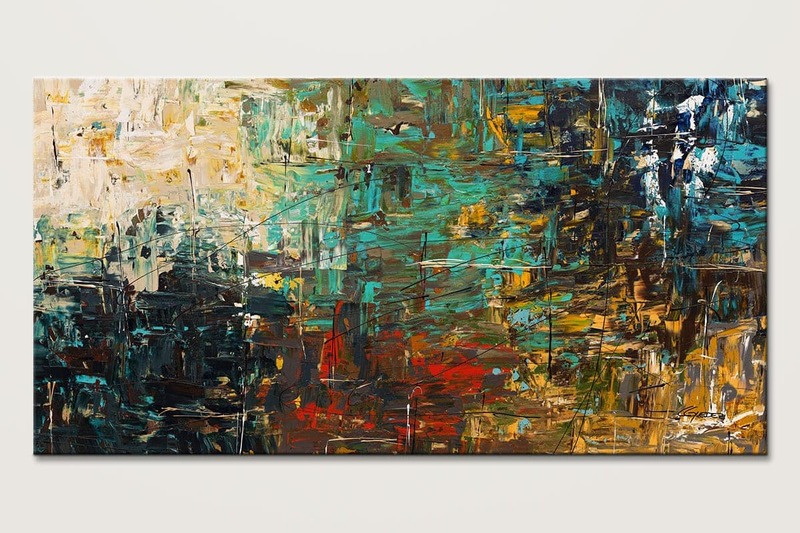 Buy this beautiful oversized art online now! 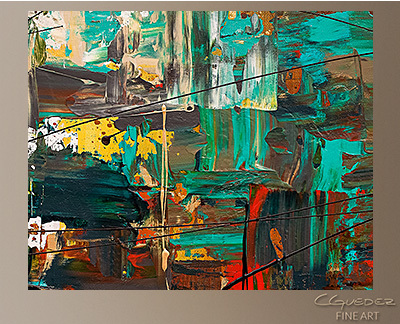 Main colors teal, turquoise, ochre, brown, green, beige, white and gold.